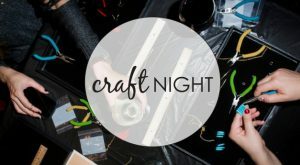 Adult Craft Night is held the last Thursday of each month. No crafting skills necessary. Registration is required for this event to make sure we have enough supplies for all participants.